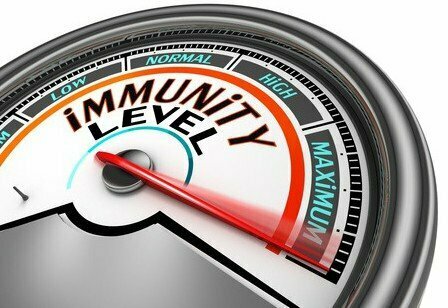 If you find you are more susceptible to infections than those around you, suffer from chronic infections or take more time to recover from injuries and infections, then there is a very good possibility that your immune system is not working properly and needs a helping hand. A weak immune system makes you vulnerable to opportunistic infections including genital herpes or cold sores and yeast infections like Candida, athlete’s foot and other fungus infections. A weak or inefficient immune system also makes you more susceptible to all forms of cancer. 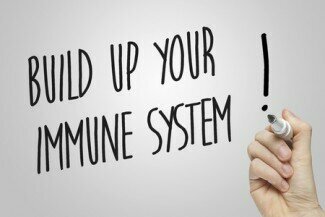 The immune system is a complex system, which along with the thymus, bone marrow and lymphoid tissues, works to protect the body from disease. Whenever it identifies a foreign substance and disease causing organisms it produces an immune response. An immune response is a bodily defense reaction that recognizes an invading substance (an antigen: such as a virus, fungus, bacteria or transplanted organ) and produces antibodies specific to that antigen. There are many factors that lead to weakening of the immune system. Daily stress, for example, can greatly compromise the immune system and affect the body’s ability to heal itself. Consumption of refined sugar (more than normal) also suppresses the body’s self healing process. A study published in the American Journal of Clinical Nutrition reported that 24 ounces of soda depresses the activity of neutrophils, the most abundant type of white blood cells that engulf and digest fungi and bacteria. The most effective approach to improving your immunity is to eat healthy, exercise regularly and avoid tobacco, alcohol, recreational drugs and stress. For optimal immunity, you should also avoid unnecessary prescription drugs. However, that may not be always possible in modern society where most of us find it hard even to sit down and eat home cooked food. The immune system works the best when the body has adequate levels of micronutrients such as vitamins and minerals including iron, zinc, copper and selenium. Regular intake of herbal supplements is a convenient and healthy option to give a boost to your immune system as they help in maintaining healthy levels of these micronutrients. Echinacea is a flowering plant belonging to the daisy family and perhaps amongst the popular herbs with the proponents of herbal remedies for strengthening the immune system. Also known as American coneflower, it has been used by the Native Americans for centuries for treatment of symptoms of cold and flu. By mid 1800s Europeans also came to know of the beneficial properties of the plant and the current popularity of Echinacea is attributed to research carried out in 1920s in Germany. 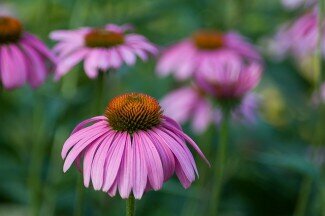 Besides its use for preventing cold and flu, Echinacea has been shown to contribute to the health of the immune system and greatly decrease the frequency of opportunistic infections. Dr Craig Coleman of School of Pharmacy, University of Connecticut reviewed more than a dozen studies on Echinacea and concluded that the herb reduced the chances of catching common cold by 58% as well as cutting down the duration by an average of 1.4 days. Out the dozen studies reviewed, one study had tested Echinacea in combination with vitamin C. This study reported an 86% reduction in incidence of cold. The findings were published in The Lancet Infections Diseases, July 2007 edition. The mechanism of action was not clear to the researchers but they believed that the effect of Echinacea on the immune system was primarily due to the alkamides, chicoric acid and polysaccharides in the plant. Garlic has a long history as a therapeutic herb that can be traced back to the ancient times. Its health benefits have been supported by laboratory tests performed at the Harvard Medical School. 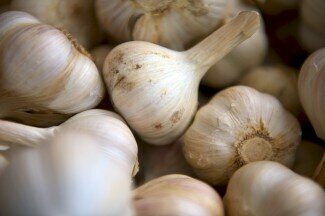 The lab tests showed that garlic promotes immunity by influencing a wide variety of immune cells. The double blind placebo controlled study on 120 subjects successfully established the efficacy of garlic as a booster of immune system. Subjects given garlic extract supplementation reported a substantial reduction in cold and flu symptoms. Garlic is rich in allicin, a sulfur compound also found in onions. Allicin in garlic is released only after it has been cut or chewed. People who have used garlic supplementation regularly have reported multiple benefits of the root. Apply crushed garlic on skin and wounds directly. Soak feet or any other part of the body in a bath of warm water and crushed garlic. Use garlic extracts and oils. Beta Glucan is naturally present as cellulose in plants, bran of grains, baker’s yeast, mushrooms and certain fungi. Medically, it is classified as a polysaccharide, a class of carbohydrates whose molecules contain chains of monosaccharide (kind of sugar like sucrose and fructose) molecules. Oats are rich in water soluble fiber beta-glucan and its health effects have been extensively studied in the last three decades. Beta-glucan contained in mushrooms and baker’s yeast has been shown to modulate the immune system. As a modulator of immune system, it triggers regulator activities that control the immune system. It improves the ability of macrophages, the scavenger cells to identify and destroy invading pathogens. Along with pushing the immune system towards optimal performance, beta-glucan has numerous other health benefits also. Analysis of research done on beta-glucans in 2008 established that consumption of foods rich in beta-glucans can help control blood sugar levels and protect diabetics from complications arising out of high blood sugar. Reduce Blood Pressure. A 2007 study published in the European Journal of Clinical Nutrition reported that beta-glucan can help in lowering high blood pressure in those diagnosed with hypertension and obesity. A report of the Word Cancer Research Fund and American Institute for Cancer Research suggests that dietary fiber rich foods aid in protecting against the risk of colorectal cancer as well as esophageal cancer. Astragalus has been used as an herbal medicine in traditional Chinese and Persian medicine. It has been used to reinforce Qi. According to Chinese philosophy, Qi is the circulating life energy that is inherent in all things; it is the balance of negative and positive forms in the body is believed to be essential for a strong immune system and good health. Astragalus has been the subject matter of intense research for its ability to strengthen the immune system. It has been studied particularly in relation to cancer patients. Studies have established that cancer patients taking astragalus recover faster, have a prolonged life and are able to resist the side effects of chemotherapy and radiotherapy better than others. This is attributed to the herb’s ability to promote production and activity of white blood cells. Astragalus is also an anti-inflammatory and anti bacterial agent that helps in wound healing and improving overall health. There is adequate evidence to suggest that it can help in managing blood sugar levels in diabetics. As a DNA protector, astragalus is instrumental in delaying the natural aging process. Ashwagandha, derived from the powdered root of Withania somnifera has been for centuries the mainstay of Ayurveda, the traditional Hindu art of healing and prolonging life. The herb belongs to the nightshade family and is popularly referred to as the Indian ginseng. 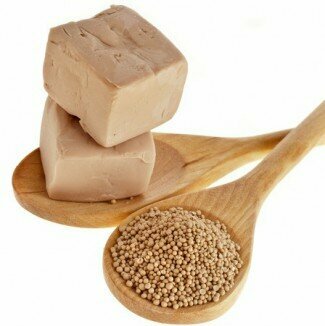 The popularity of ashwagandha in the west is attributed to research providing evidence of its therapeutic properties. Ashwagandha has been found to be a very effective remedy for overcoming stress-caused weakness in the immune system. Daily stress due to the hard modern life can take a toll of the body’s inherent ability to self heal and ward off invading pathogens. Research published in 2011 in North American Journal of Medical Sciences suggests that ashwagandha as a standalone remedy or in conjunction with other herbal remedies such as extract of Grifola frondosa (maitake mushroom) can enhance immune responses by a great degree. Ashwagandha contains natural steroidal substances that are instrumental in reducing inflammation and help in pain relief and removing swelling. Preliminary studies of ashwagandha as an anti cancer agent are very encouraging. In vitro studies suggest that the ashwagandha extract can kill cancer cells and stop them from proliferating. Turmeric is a perennial plant belonging to the ginger family. The root of the plant is dried and powdered and used as a spice. It is an integral part of Indian cuisine and used in almost all recipes particularly in curries. It has countless medicinal properties and perhaps the most effective natural nutritional supplement known to us. Western science has recently woken up to the therapeutic benefits that the Indians have known for thousands of years. Turmeric contains a group of compounds known as curcuminoids. The best known and researched among them is curcumin. Other constituents include volatile oils, sugars, proteins and resins. Curcumin has natural antioxidant properties that help in preventing damage to DNA and give the immune system a boost. As a powerful antioxidant, curcumin in turmeric prevents free radical damage and improve the body’s ability to self heal. It also enhances the ability of the body’s own antioxidant enzymes. 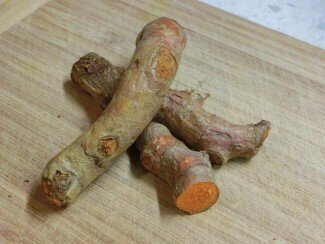 In animal studies, curcumin has been shown to be an anti tumor agent that kills tumors cells. However, turmeric contains 3% curcumin by weight and for it to be fully effective the body needs more than one gram per day. it is not possible to reach these levels by consuming it just as a spice. For deriving full therapeutic benefits, one must rely on turmeric extracts that contain mostly curcumin. Like turmeric, ginseng is also among the most commonly used and researched herbal remedies in the world. The word ginseng may be used to refer to American ginseng or Chinese or Korean ginseng or its distant relative, Siberian ginseng. Ginseng, regardless of the variety, promotes wellbeing, improves physical and mental health and helps prevent or decrease severity of illnesses. The botanical name of American ginseng is Panax quinquefolia and has been used by Native Americans since centuries. It is known to be an effective herbal remedy for improving the health of the immune system by increasing the production of hormones related to the thymus gland. The thymus is located at the base of the neck and produces lymphocytes, which make up more than a quarter of all white blood cells, an important constituent of the immune system. The thymus gland atrophies with age and American ginseng helps in delaying that process. American ginseng’s ability to boost the immune system is attributed to its constituents namely Saponin triterpenoid glycosides, polysaccharides, vitamins A and B6 and zinc. American ginseng is also used for alleviating stress of modern stressful life and as a general stimulant and tonic. 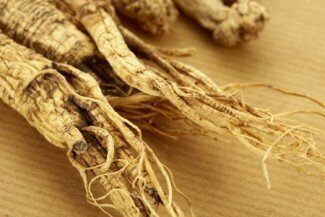 There is also credible evidence that American ginseng helps in prevention of cold and flu. The natural way of strengthening the immune system is to eat fresh and organic vegetables and fruit. As much as possible, focus on raw and steamed vegetables and avoid overcooking. Prefer unprocessed grain and lean meat and consume a fair quantity of nuts and seeds daily. However, for many this may sound as something too much to ask. There is adequate evidence that many herbal remedies have a strong influence on the immune system and can help in improving the body’s inherent ability of identifying pathogens and responding to cure and self heal. Some of the herbs mentioned here are excellent for giving immunity a boost on their own as well as in combination with other herbs. Combination herbal formulations may also be necessary with an eye on diet and relaxation so as to give immunity a bigger boost. The above list is by no means complete and there are many other herbs as well that have numerous therapeutic properties of supporting the immune system. In many cases it may not be possible to derive the full benefit of a herb by consuming it in its raw or cooked form and it may be necessary to use commercially (but scientifically) prepared extracts and supplements.